We are excited to announce “Uneven Edges” as our trend focus for the month of April, during which our designers will be exploring rough and imperfect edges in the form of brush strokes, collage and spray paint. 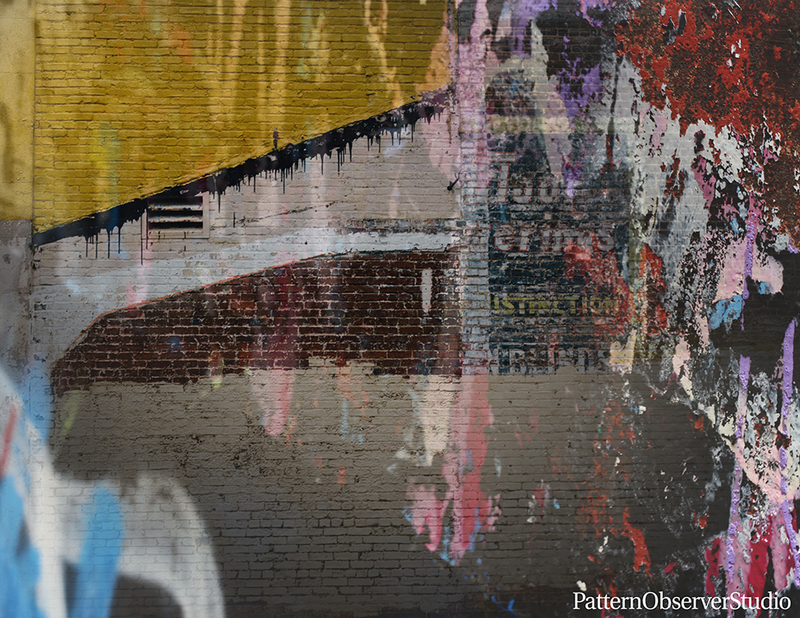 If you’ve ever stopped to look closely at graffiti, or just the old paint chipping off a brick wall, you know that the textures and layers of color can be truly stunning. While designing for the Uneven Edges trend we are drawing inspiration from areas where paint has dripped, where it has cracked and peeled, and noticing where edges of shapes are crisp versus where they have more of a halo of color from a spray can. The great thing about this trend is that it can result in both abstract textural patterns, as well as being applied to more recognizable motifs in the form of pattern fills and overlays. Later this month we will be refreshing our studio library with the new patterns that our designers created around the Uneven Edges trend–keep an eye on the Pattern Observer Studio newsletter for a sneak peek!